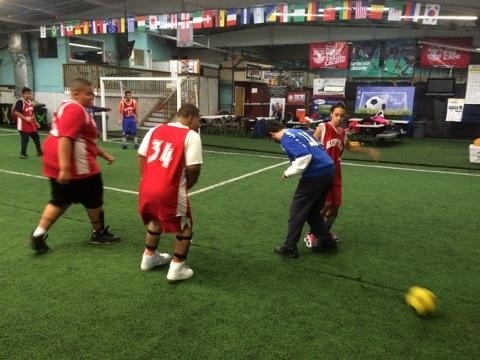 In November 2015 RSC Westchester sponsored and coordinated the Special Olympics Pioneer Soccer League for the first time, bringing players from 10 Westchester High Schools together at OnTrack Sports Center in Tarrytown, NY. 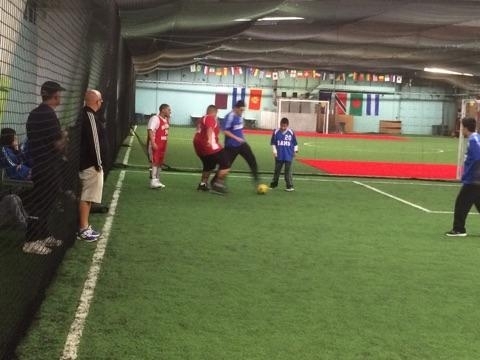 Games were held over 7 weeks from November 3rd to December 17th 2015, and the players greatly enjoyed the atmosphere and competition, playing in a professional level indoor soccer venue. The turf field gave players more control of the soccer ball and produced some wonderful games, with players and teams improving each and every week. 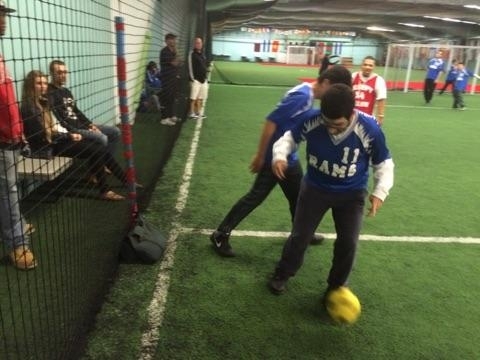 We would like to thank Special Olympics for working with us to provide the opportunity for High School players to immerse themselves in a true indoor soccer experience. RSC Westchester Summer 2018 Special Olympic Soccer prorgam is open for registration. Join the Special Olympics Session for adults 16 and over who will be invited to compete in a special olympics event in early October.